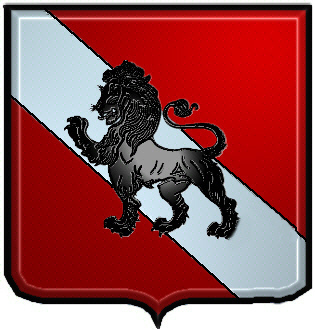 Coat of Arms: A red shield with a silver bend on which there is a black lion passant. Motto: Heb Dhuw heb ddym, Dhuw a digon. a harp in base, and two lilies in chief. DAVEE (British). "Lullaby word for darling or friend". DAVID (Universal). Originally "darling," later "friend" (Hebrew), through Old Testament king, or the patron saint of Wales, or one of two Scottish kings. DAVIDSON (British). "Son of David". DAVIES (British). "Son of David" - Davies is the typical Welsh spelling. DAVIS (British). "A lullaby word, darling then friendly". DAVIS (British). English form of Davies. The infancy of the Scottish nation was a turbulent time, where survival was dependent on sheer strength and the force of law lay on the edge of a battle worn claymore. 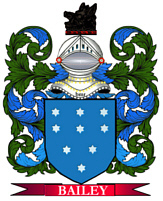 With this in mind, it is little wonder that the Davidsons were one of the earliest Clans to join the mighty Clan Chattan, a powerful group of Clans renowned throughout Scotland's history. This confederation of related Clans would amass under a common flag when faced with a foe foolhardy enough to challenge a member of Clan Chattan, crossing swords with the enemy for the sake of the alliance. Clan Davidson trace their ancestry back to the union of Donald Comyn and Slane Mackintosh at the beginning of the 14th Century. It was a bonding of two great Clans, with Donald's grandfather being the great Red Comyn, Robert the Bruce's greatest rival for the Scottish throne, and on his bride's side came the influential Clan Mackintosh, as Slane's father was the sixth Mackintosh chief. The leaders of the Mackintoshes hold the honour of commanding Clan Chattan, and so Slane's family were gladly inducted into the alliance by her kinsfolk. The Clan Davidson takes its name from David, son of Donald and Slane, whose descendants became known as Clan Dhai, or the MacDhais, whose name became anglicised through the course of time to Davidson. My dad was born in Oklahoma along with three brothers, and three sisters; we have Davises scattered all over Oklahoma, Texas, Arkansas, and California (maybe more States than these). Dad's youngest brother married a full blood Creek Indian lady, so we are tied into the Creeks, and on my mothers side with the Choctaw Nation. My Davis grandfather and great grandfather were born in Paris, Arkansas. My dad claimed to be Scotch/Irish, but said little about his family; my mother's dad was Irish. I e-mail with my Creek Indian cousin who lives in Oklahoma, she has been searching our Davis family for over twenty years; has some interesting information about my dad's family. Some of my family's Davis men were pastors; but I don't know what type of church, or personal beliefs that they had about Shabbat. There is a Seventh Day (or Shabbat) Baptist denomination in the South, I know of one in Southern California that's active today. Many Scottish/Irish settled also in Tennessee, and in the Western part of North, and South Carolina; lots of Davises in these areas too. The "deep" South was/and is loaded with the Davis name. One report said that nearly all the early Sabbath keeping pastors in the USA were once named Davis. A Catholic priest known as Father Davis in Wales was famous in the UK as an early advocate of the State of Israel. Jefferson Davis headed the Confederate side in the American Civil War. Sammy Davis Jr was a famous Afro-American comedian who converted to Reform Judaism. 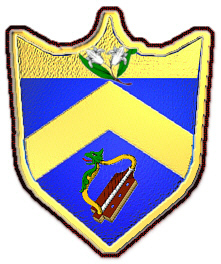 Audrey J. Burba reports that the clan of Davis is identical with the McDha (pronounced MicDay) clan in Scotland that fought other clans and were almost wiped out. One of the clan however escaped and went into Wales and started the line of Davis. Davidson, MacDavis, etc. (of Scotland) are all related to the one Davis (of Wales) who escaped. The name Davis is short for Davids son, or Son of David, and comes from the sons of David, who came out of Jerusalem and reached Scotland and assimilated to the prevailing culture.